May | 2014 | What can you do with anthropology? Parents, including any adult caretakers, play a vital role in their children’s lives. As technology use is increasing in the United States, anthropologist Ricarose Roque was interested in researching how parents today are negotiating the use of technology with their children. To study this, Roque conducted focus groups to interview multiple parents in a familiar setting, such as their local community center. The discussions, which included about 3 to 5 parents, lasted about an hour and a half. During the discussions, they would communicate about their use of technology, as well as their children’s use and its influence of their lives. At the end of the discussions, Roque noticed that the parents thoroughly enjoyed the experience so much so they wanted to do it again and exchanged contact information with others. She found that the parents connected over their sometimes overwhelming anxiety regarding the use of technology in their homes. According to Roque, “the focus group became a place to share stories, gain validation about their experiences, and connect with each other at personal and emotional levels”. The focus group had become a support group, an unexpected outcome. Although Roque intended on studying how parents are negotiating the use of technology with their children, she found that “parents used the focus group as a support group to make sense of their own relevance in their children’s live, as computing devices permeated their family activities”. Focus groups have also been used with Hurricane Katrina survivors, second-generation Muslim-Americans after September 11th, as well as many other groups. As Roque demonstrated in her research, “the focus group format can serve as a form of social support or empowerment for people who have been marginalized or victimized”. As college tuition increases exponentially, online courses have become very popular. 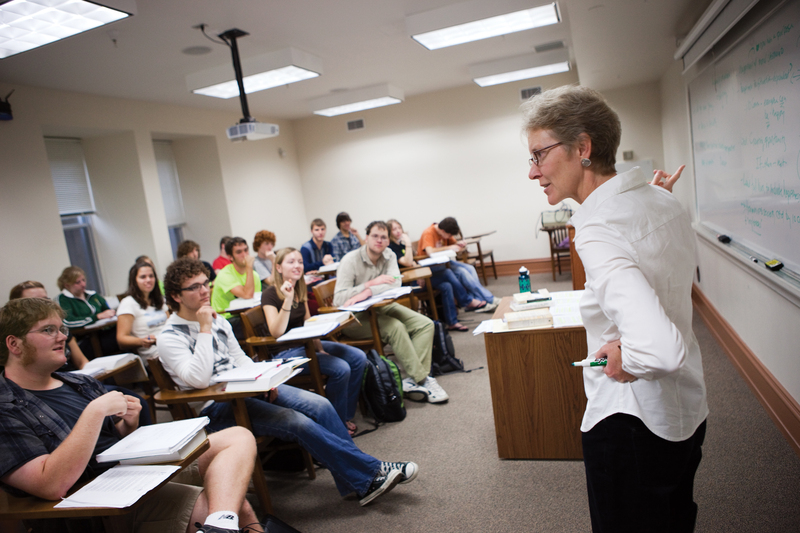 Massive online open courses (MOOC) have been created to manage soaring college tuitions. Since college costs are on the rise, students need to work more to pay for their education. Increasing work hours makes attending school increasingly harder, thus with improvements in technology, the aspect of online courses, distant learning, have made a college education possible, while working a 40 hour week. Anthropologist Christina Wasson, from University of North Texas, first experienced a massive online open course when the University of North Texas launched an online master’s program in anthropology. Teaching both online courses, as well as courses in the classroom, she was fascinated by their similarities and differences. Wasson found that what makes learning effective is cognitive presence, social presence, and teaching presence and these online classes lack both social and teaching presence. According to Wasson, this is especially ironic because the students who tend to enroll in online courses are economically disadvantaged students to need the most social and teaching presence. Due to the lack of social and teaching presence many students who enroll in these massive online open courses either fail or drop out. These findings demonstrate the trap of online courses. Although they are tempting for the low cost, they are hard to pass due to them lacking social and teaching presence, thus they need to be improved for higher education. Scientists predict that by 2100, sea levels along the east coast of the United States will rise more than 39 inches, thus drowning large parts of counties along the coast. Interestingly, however, in recent years more people than ever have been moving to the coast of the United States. In Dare County, a coastal county located in the Outer Banks of North Carolina, the population has risen from barely 7000 people in 1970 to now 34,000 residents and in the summer the population rises to between 225,000 and 300,00 people. 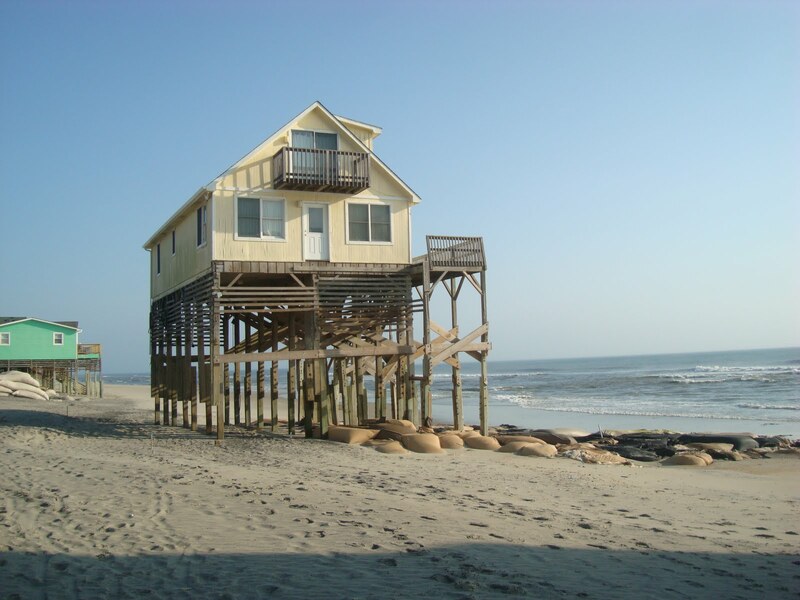 The impending sea level rise would drastically affect the Dare County. The daunting rise of sea levels made scientists compose plans for the coastline of North Carolina, however, interestingly county managers and economic advisors halted the recommendations for the new safety codes and regulations. This halt inspired a team of five anthropologists to question 208 local residents in the Outer Banks about climate change and what they are noticing in their back yard. They found that during their conversations that “only 20% of the participants mentioned sea level rising without being prompted for it”, however, “almost everyone talks about the shifting shoreline”. They also found that “economic costs are the overriding feature that most people consider in their suggestions for best practices to ensure the natural and economic sustainability of the Outer Banks, as the economic future is more real than uncertainties about the future storm surges”. Thus the anthropologists found that people are more concerned with maintaining economic stability and prospering, than they are concerned about the Outer Banks possibly drowning in the future. The anthropologists’ work in Dare County has showed many of the residents, as well as others, the eye-opening results about the future of their back backyard. They are not only creating awareness in the Outer Banks, but also in the entire United States as the country as a whole is affected by climate change. Chinese New Year is the longest national holiday in China, this holiday has thousands years of history and it is a tradition that people will try to get to their family reunion by New Year’s Eve no matter how far they are away. Therefore, there will be a rush, lasting more than a month or so, before and after this holiday in trains, planes and automobiles, which called “chunyun”—Chinese New year’s transportation. According to Dexter Roberts, 3.6 billion passenger trips, which is more than 50 per cent of Chinese total population, will be made on planes, trains and vehicles this holiday season. Can you imagine what kind of rush it will be when this vast majority transported during only 40 days? Among all the transportations, train is the most traditional and crowded because many migrant workers and students who are the majority of “chunyun” are rarely to afford more expensive plane tickets. However, there is a big gap between railway capacity and demands. That means not all the people can get a train ticket during this period. 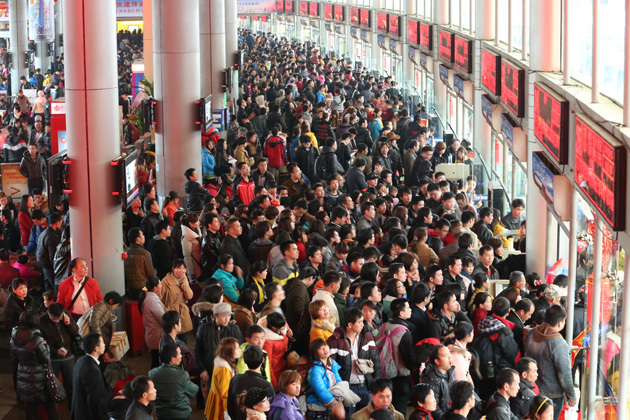 As a Chinese, I understand how hard it is to buy a train ticket during Chinese New Year. 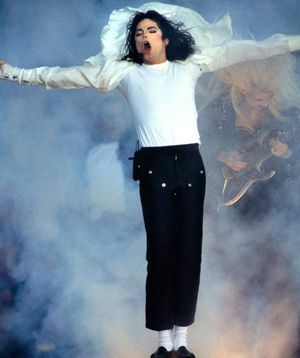 Every New Year, mom and I will have to get tickets a half of month in advance or the tickets will be quickly sold out. Recent years, Chinese government has some new policies in New Year’s transportation. For example, people can use their personal identification card to buy tickets online. In this way, people don’t have to wait in a long line in front of the ticket window. This policy make buying tickets faster, however, it’s unfair to people who are inaccessible to Internet. In my opinion, government should limit the train tickets sold online, so it can make sure that other people can get tickets form the ticket window. Roberts, Dexter. “China’s Massive Spring Festival Travel Forecast: 3.6 Billion Passenger Trips.” Bloomberg Business Week. Bloomberg, 16 Jan. 2014. Web. 3 May 2014. <http://www.businessweek.com/articles/2014-01-16/chinas-massive-spring-festival-travel-forecast-3-dot-6-billion-passenger-trips>. People’s expectations can change how we identify our race. People always speculate on person’s race superficially by their face structure and skin color. According to “Reinventing the Color Line”(561-586), it is complex to define a person’s race when s/he is multiracial. In order to find out the reason, Jennifer Lee and Frank D. Bean recruited a group of multiracial respondents and asked them about their racial identities and how they identified themselves. It turned out that only 4 percent of the black population, which was much lower compared to the Asian and Latino groups, identified themselves as multiracial. Although most black Americans recognize their multiracial background, they choose to identify themselves as black because others always identify them as black. As a half-white black woman male noted, “I feel if somebody is going to look at me, they’re not going to think I’m white so I put black… I know that I’m mixed, but if it were to be a choice, I would say I’m black”(573). People often have broader vision of what a black should look like, so they will consider any person of black skin or other typical features as a black. By Comparison, Latino-whites and Asian-whites feel they have much more leeway to choose among different races. Also, when they acknowledge their white ancestries, it is easier to be accepted by Americans. For example, a Japanese American who had blonde hair and blue eyes explained, “People just think or they have a stereotype of somebody that’s white, so they will kind of treat me the same way”(P.575). Because of the increasing ratio of the multiracial among the total population of American, the racial boundaries are loosening into “white” or “non-white”. Therefore, race is becoming less significant in identifying ourselves. Lee, Jennifer, and Frank D. Bean, Reinventing the Color Line: Immigration and America’s New Racial/Ethnic Divide. Oxford University Press, December 2007. Print. In China, there is a group of people called “shengnv” , which specially targeting those women who are well educated and successful in their career. In recent years, it becomes hard for these China’s leftover women to get married in China. And some of them even get started to looking for love abroad. 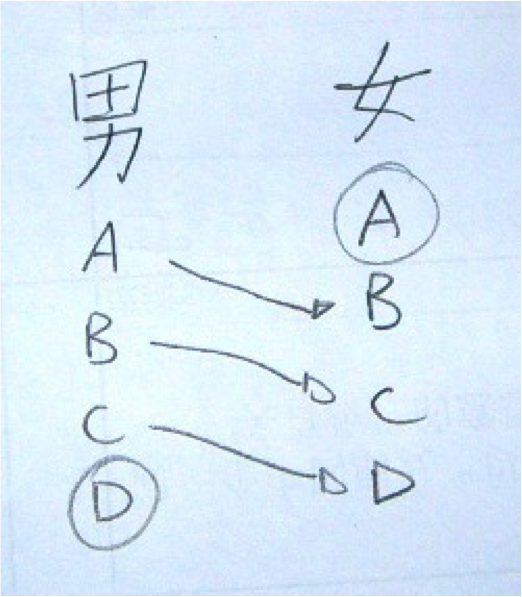 “A” to “D” means the class of males’ and females’ quality such as the education and payment (from high to low). Just like this picture, in Chinese conventional thinking, males ought to have high status than his wife. In Chinese culture, husband is responsible to raise his family by working and earning money. Therefore, his wife doesn’t need to be stronger or more successful than her husband. We call this Chinese—style chauvinism or Big-Man-ism, which values men more than women. Yeung, Isobel. “A Good Man Is Hard to Find: China’s ‘leftover Women’ Look for Love Abroad.” South China Morning Post. N.p., n.d. Web. 02 May 2014. 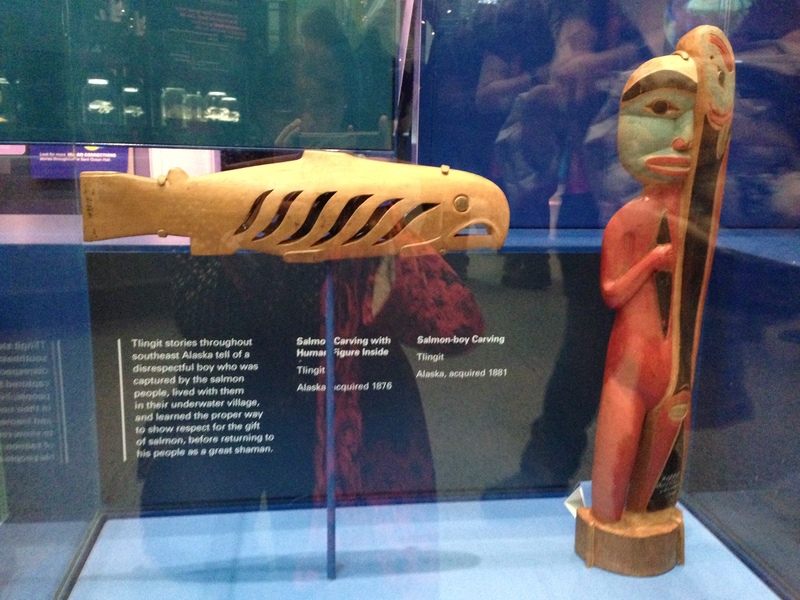 Salmon have been the symbol and livelihood of the Pacific Northwest tribes since time immemorial. The returning of salmon is important in ecosystem of the region because they feed other animals, forests and humans with their bodies. Salmon provide the Columbia River tribes food, and at the same time, fishing flourishes the trade economy. As a primary food source for thousand years, salmon continue to be an essential aspect of their nutritional health. Therefore, they call themselves “ salmon people”. Since salmon is so important in the Columbia River tribes, people use various ways to present their gratitude to salmon and nature. For example, the Celilo Longhouse on the bank of Columbia River held great celebration for their annual First Salmon Feast. People will cook salmons on that day and sing ancient songs of thanksgiving for wy-kan-ush (the word salmon used in their sacred ceremonies). Salmon formed the base of tribal culture, and the value of salmon is inherited from generation to generation by celebrating this annual ritual. Salmon used to be rich in the Columbia River, however, pressure of industrialization, increasing demand and contentious political policy threaten the wild salmon and fisheries of region. Fishermen have to harvest much more salmon because the global demand increases, which results in wild salmon becoming increasingly scarcer in the river. In order to save salmon——indeed to save their culture, today the tribes are trying every effort to make sure that more salmon return to river by protect the traditional water from pollution. People are fighting to protect salmon and the water in their own ways: increasing amount of people in tribes become fish biologist, ecologist and other environment scientists. 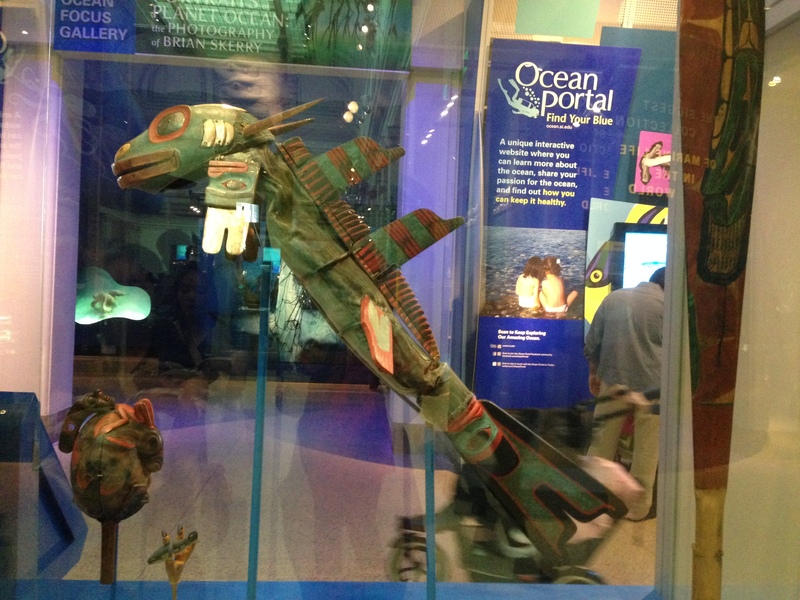 They use advanced knowledge to protect the salmon, the water, and ultimately, their traditional beliefs and culture. The decline of Chinatown in U.S.
Chinatown is always a unique landscape in US. Many Chinese settle in there and visitors can experience Chinese culture in this area. 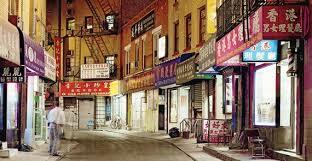 Chinatown used to be a prosperous place where attracted numerous Chinese Immigrants. They opened lots of Chines restaurants, Chinese market, and antique stores to achieve their dreams; they searched for every opportunity in order to get the Green Card. However not for long, Chinatown starts to shrink and decline. Increasingly it becomes the synonym of “slum”; rather than coming, more Chinese move out and go back to China in pursuit of the Chinese dream. According to Demetrios Papademetriou (President of the Migration Policy Institute), over 50 percent of Chinese people who came here in the first half of the 20 century left and actually there are more people going back today. Bad employment conditions and race discrimination in U.S. makes them hard to live and the immigrant problems brakes their American dreams. Meanwhile, labor shortage in China gives more options for those unskilled labors; Chinese government grants incentives for well educated overseas or migrants to come back. What’s more, Chinatown becomes smaller and less Chinese-style. For example, I found unbelievable when I visited the Chinatown in Washington DC. It only left a few blocks and an archaic welcome gate standing alone. 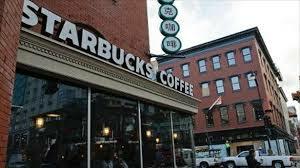 Besides, these few blocks were mostly occupied by non-Chinese stores such as Starbucks and Hooters. Because of the decline, many Chinese restaurants couldn’t afford for high cost and they transferred to the new owners. When I walked along the street, I seldom saw Chinese people but many African- Americans walking across the streets. China’s boom provides a wider market and makes people living in U.S. ponder whether it is still beneficial to stay in U.S. In this way, Chinatown is very likely to continue declining and lose its reason for existing one day. Bonnie Tsui, The End of Chinatown: Does China’s rise mean the end of one of America’s most storied ethnic enclaves? The Atlantic, Oct 28, 2011. Chinese traditional medicine (CTM) can be traced back to 5000 years ago, when people used herb to cure disease and protect them from epidemics. Different from the western medicine, which uses direct treatment, CTM prefers a dialectical analysis of the human body as a whole. Chinese medicine is rooted in ancient philosophy of Taoism: the human body is a miniature version of the larger, surrounding universe. 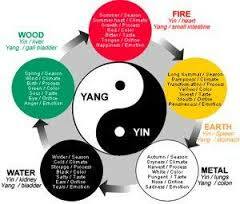 Besides, in Taoism, harmony between yin and yang (two opposite forces) keep us healthy and the imbalance between them will result in disease. 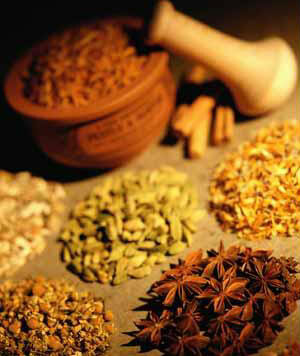 Since Chinese medicine spread out to western countries, it has become increasingly popular. For example, according to the 2007 National Health Interview Survey, more than 1 million American patients chose CTM in 1997 and this number tripled until 2007. However, some of these herbal products may be harmful or inefficient because herb combination may have serious side effects. For example, the Chinese herb ephedra (ma huang) can cause serious complications such as heart attack and stroke. Chinese medicine has a large amount of recipes and complex combinations, so it is hard to find scientific evidence to prove whether it is useful in practice. As professor He Yumin from Shanghai Traditional Chinese Medicine Institute said: “ International prognosis of pancreatic cancer is 4 to 6 months. However, 20 out of over 100 patients in Shanghai who receive the CTM methods have lived 3 to 5 years.” Even though we cannot insure the CTM is efficient and harmless, but it shows great potential that western medicine can’t achieve in treating more complex illness such as AIDS and cancer by adjusting and balance the whole body system. U.S. Department of Health & Human Service (March 2009), “Traditional Chinese Medicine: An Introduction”. Electronic document, http://nccam.nih.gov/health/whatiscam/chinesemed.htm#key, accessed March 13, 2014. Wang Jingwen, An Important Different Between Chinese and Western Medicine. The Epoch Times, May 9, 2011. Electronic journal, http://www.theepochtimes.com/n2/health/an-important-difference-between-chinese-and-western-medicine-55986.html, accessed March 17, 2014. 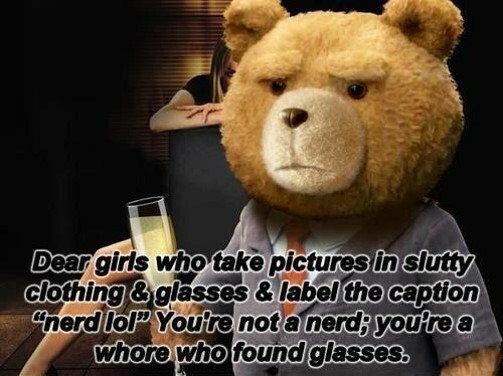 The assumed-fictitious geeky interests of gamergirls is attacked by attacking their sexuality. If the situation were reversed and a man had an interest atypical of his performed gender, I don’t think he would be belittled in the same way. He may experience judgment, but I don’t think they would be as focused on his vapidness or sexual promiscuity. Later in her article, Renaud reviews online rants made by individuals angered by ‘fake’ gamergirls. These rants centered around two basic problems. Firstly, they seemed to think that women who pretend to have an interest in geekery only do so to attract male attention. Secondly, they assume that this display is not based in any nerdy knowledge and that their existence detracted from the value of actual geek culture. Two of the three ranters also expressed resentment based on the idea that fake gamergirls would pay real nerds any attention outside of conventions. In an attempt to rationalize this rejection, these ranters came to the conclusion that attractive ‘fake’ gamergirls were fake and stupid. Cue eyeroll. While Renaud ends her article by stating that each of the ranters also recognized the ‘true’ gamergirls, the adjectives associated with them were humility, and non-attention seeking. This seems to be a microcosm for the gender roles given to women in our society at large. The Virgin vs. Whore stereotype pigeonholes women into one of two categories, but gamergirls (like the rest of us) are not fully defined by two contrasting, problematic, categories.